Loyalty. 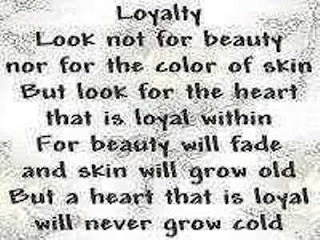 Look not for beauty nor for the color of skin, but look for the heart that is loyal within for beauty will fade and skin will grow old, but a heart that is loyal will never grow cold. 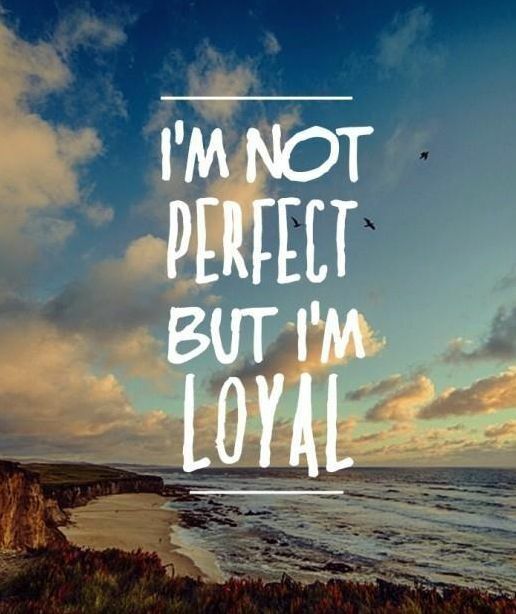 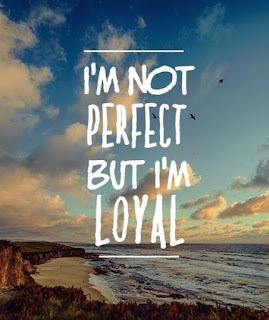 I'm not perfect but I'm loyal. 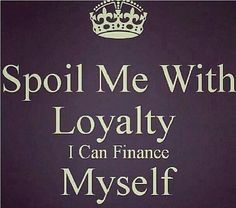 Spoil me with loyalty I can finance myself. 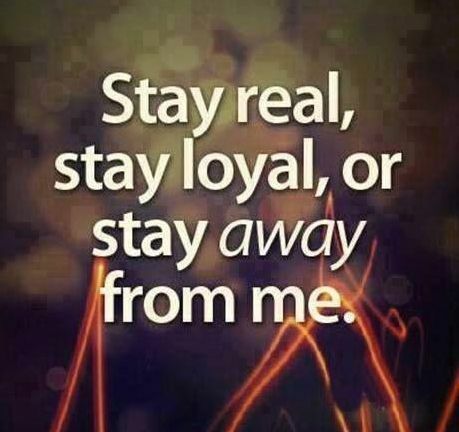 Stray real, stay loyal, or stay away from me. 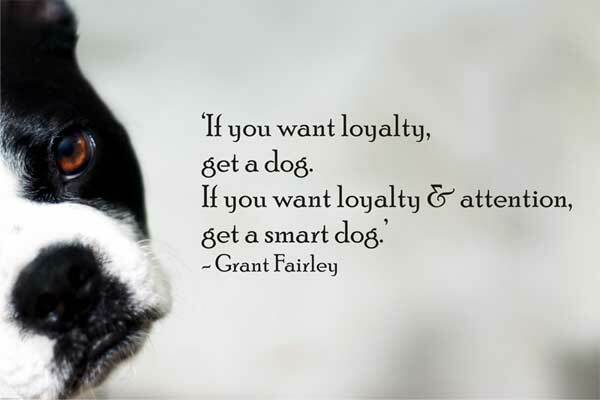 If you want loyalty, get a dog. If you want loyalty and attention, get a smart dog. 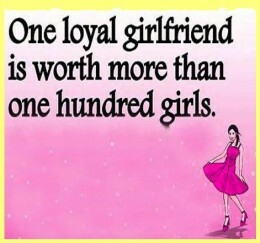 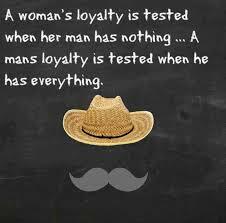 A woman's loyalty is tested when her man has nothing... A mans loyalty is tested when he has everything. 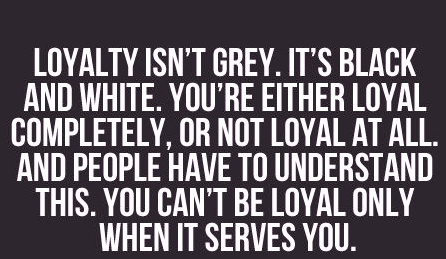 Loyalty isn't grey. It's black and white. You're either loyal completely, or not loyal at all. 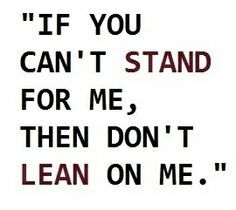 And people have to understand this. 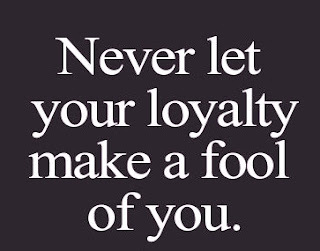 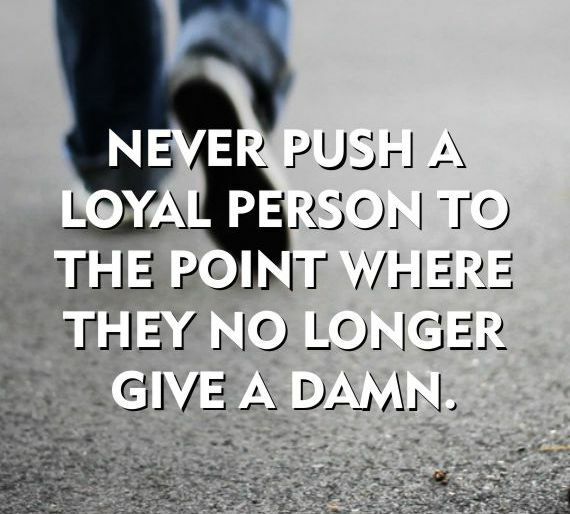 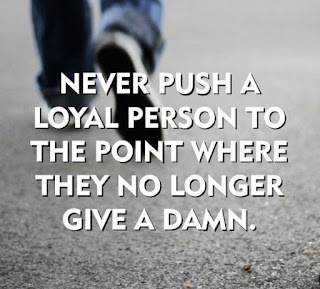 You can't be loyal only when it serves you.